GUELPH, ON – Wellington Brewery has announced the details of the grand finale in the 2019 edition of its Queen of Craft series of women’s beer events. 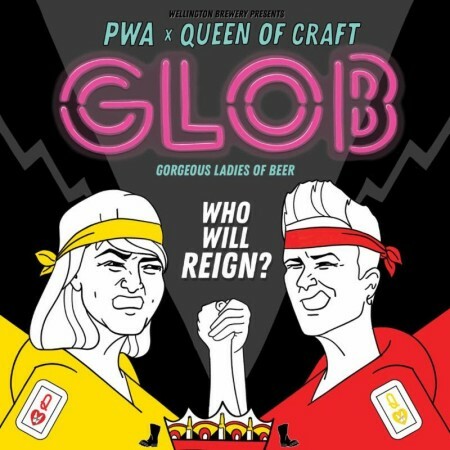 Gorgeous Ladies of Beer (GLOB) will feature bouts between professional female wrestlers from the Pure Wrestling Association, and a mini beer festival with beers from ten Ontario breweries that were created in collaboration with PWA wrestlers. Taking place on Friday March 29th at 7pm at the Red Chevron Club (34 Elizabeth St., Guelph), GLOB is open to beer lovers of all genders, and will raise funds for Guelph-Wellington Women-In-Crisis, an organization that Queen of Craft has raised over $20,000 for over the past six years. For more details and to order tickets, see the Eventbrite listing.